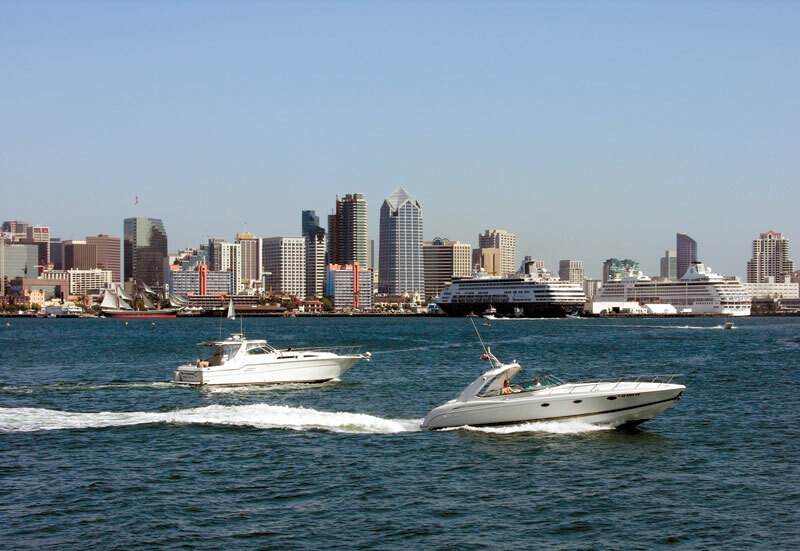 SAN DIEGO — The Port of San Diego’s Board of Port Commissioners voted 6-0 to appeal the San Diego Regional Water Quality Control Board’s recently issued San Diego Bay cleanup order. The $70 million cleanup plan was unanimously approved by the regional water board at a March 16 meeting, naming seven entities responsible for cleaning up years of pollution and toxic sediment left at a 21-acre area of the bay earmarked for cleanup. Entities named include BAE Systems San Diego Ship Repair, Campbell Industries, the city of San Diego, National Steel and Shipbuilding Co. (NASSCO), San Diego Gas and Electric Co. (SDG&E), San Diego Unified Port District and the U.S. Navy. The site has a history of shipbuilding and repair, and it is adjacent to properties leased by BAE Systems San Diego Ship Repair and NASSCO in the area north of Sampson Street, just south of the San Diego-Coronado Bridge. Between 143,000 and 165,000 cubic yards of sediment were ordered to be removed from the site, and the entire cleanup process is expected to take about three years. But the appeal by the port, along with four other entities named responsible for the cleanup, has raised uncertainty about whether the order can ultimately be carried out. Each appeal must be heard by the California State Water Resources Control Board, and each of those decisions could later be appealed to a California Superior Court. The statement goes on to say that the port does not intend to stay or stop implementation of the order or postpone any actions in regard to the cleanup. The cleanup order for the site holds much weight for future remediation and cleanup orders, as the San Diego Regional Water Quality Control Board’s issuance of the cleanup is one of the first of its kind and could set a precedent for future cases. Environmental watchdog groups such as San Diego Coastkeeper applauded the water board’s order and were hopeful the cleanup could begin as soon as this year. But the port’s appeal, along with appeals from five other entities, could jeopardize or delay the cleanup. Other appeals have been submitted, including one from General Dynamics NASSCO, which stated that achieving the level of the water board’s ordered cleanup standards was not technically or economically feasible, and that many legal and technical deficiencies existed in the water board’s analysis of the site. The city of San Diego also appealed the order, based solely on the city’s right to a state review of the matter. SDG&E appealed on the basis that the regional water quality board exceeded its authority when issuing the cleanup order and did so without sufficient evidence to identify sources responsible for the cleanup. BAE Systems San Diego Ship Repair, in its appeal, stated that because the regional board had not yet identified a cleanup order for a certain section of sediment on the site, BAE might also be held responsible for that at a later date. The appeals have been sent to the California State Water Resources Control Board, which will have 270 days to review and make a decision on each appeal. The deadline to make an appeal was April 16, and the water board had not yet received appeals from the Navy or Campbell Industries by that date.